A wave of Localism is sweeping across the globe as consumers are increasingly opting for local brands rather than foreign products, driven by anti-globalization, sustainability, health-consciousness and ethnocentrism, says leading data and analytics company GlobalData. The company’s report, ‘TrendSights Analysis: Localism’, reveals that Localism offers significant growth opportunities for most fast-moving consumer goods (FMCG) brands. However, it is most prominent in the food sector, which has become more globalized in recent years, with supply chains getting longer as companies primarily source ingredients from cheap, yet distant, countries. Older consumers tend to be more influenced by this trend as they have a greater affinity and connection to their local communities. The connection between the Localism trend and health can be partly linked to the perception that local products have higher safety and quality standards than foreign ones. Packaging and marketing must focus on green credentials as consumers tend to associate local products with being eco-friendly. Emphasizing a lack of ‘food miles’ and how natural or organic the product is will be vital to creating a premium position and illustrate quality to consumers. Consumers overwhelmingly associate local products with fresh and healthy attributes. 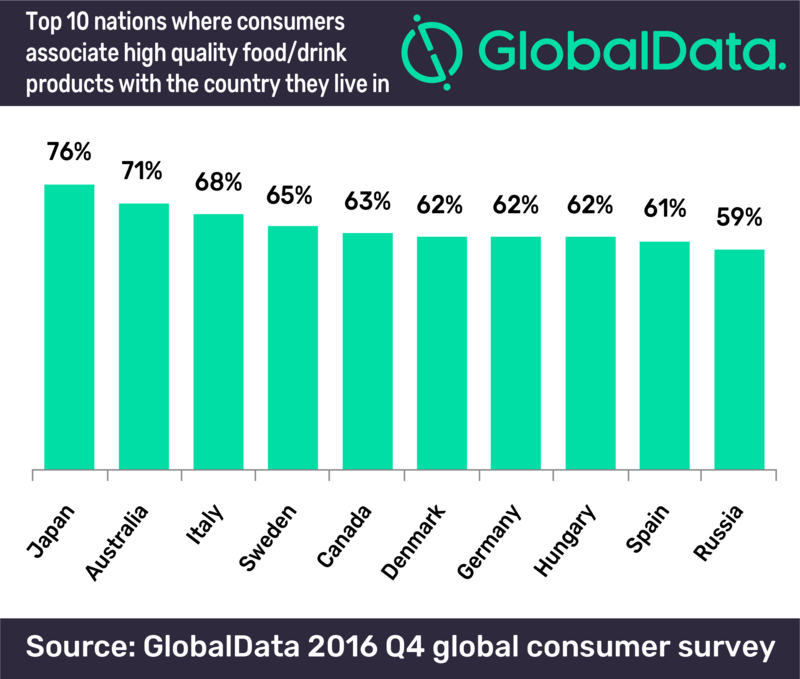 According to GlobalData’s Q4 2016 consumer survey, the Localism trend is most conspicuous in Japan and Australia, where 76% and 71% of consumers associate their country with high-quality food and drink products, respectively. In Japan, Nissin Foods combined both localism and novelty by using local and traditional ingredients in a ready meal format to create a new matcha-flavored instant noodle product ‘Nissin Cup Noodle – instant matcha noodles’ to appeal to the tastes of Japanese consumers. Within FMCG, food is the only category for which Localism is currently at the growth stage of its lifecycle. Conversely, the trend is still emerging within alcoholic and non-alcoholic drinks, as well as personal care. In the long term, the alcoholic and non-alcoholic drinks categories will be influenced by Localism as consumers seek out high-end, craft-style, and local products that are distinct from mass-market fare. In the personal care category, inspiring innovation with ethical, green and responsible initiatives will help brands capitalize on its emerging status. Additionally, using local ingredients whenever possible will be an important way for brands to reconnect with consumers.